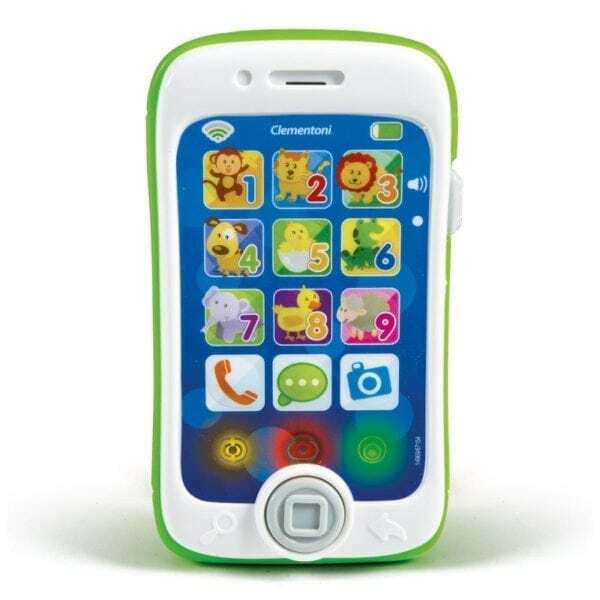 The first educational smartphone that allows the child to make calls like mom and dad. It is a real center of activities that help the child to discover the animals and to learn the colors and shapes in the most entertaining way. This learning process makes learning a game encouraging the child to repeat the songs so he develops his creativity. On the smartphone there are 13 touch keys that contribute to the development of visual, acoustic and tactile perception.